"The Skin is a Reflection of our internal environment, all we have to do is learn what it is trying to tell us." 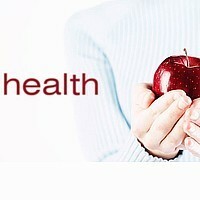 A Customized Guide to your Health and Vitality. How your body is responding to your stress load. What can you do to diminish the ravages of stress and prevent further breakdown? How can you not only feel well, but have vitality? This guide will tell you where you are and what you will need to do in order to create optimal health for you. Read "Functional Medicine" page to find out more. You can also sign up for our Reflection-ologyTM Newsletter and receive monthly insights to what your skin is trying to reveal to you. See Reflection-ologyTM page for details. Remember, it's your health and your choice.